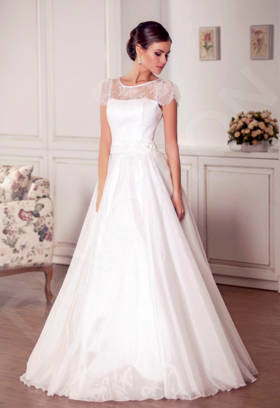 This stunning wedding gown will fill your look with femininity and romance. 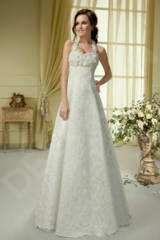 The halter strap neckline highlights your feminine figure, and the draping with bead appliqué adds a pop of sparkle. The open back accentuates your perfect posture, and the empire-waist skirt visually lengthens your silhouette. 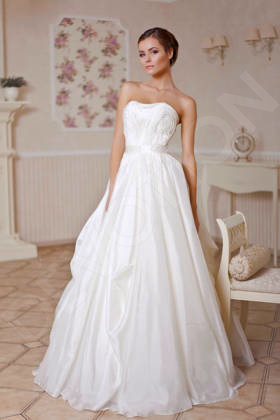 Have all heads turning as you make your way down the aisle in this flawless gown.